Geneva international airport sits just across the Swiss border and provides the main access point for visitors to the ski resorts of the French Alps. It was originally created out of a small field in Cointrin in 1919, but the main terminal used today was officially opened in 1968. Located 4km north west of Geneva city centre this busy airport has direct connections to the motorways leading to France, meaning transfer passengers only spend approximately 10 minutes actually in Switzerland. Geneva airport can actually be accessed from both France and Switzerland, but international flights land only on the Swiss side. The French sector of the airport is kept only for French internal flights. 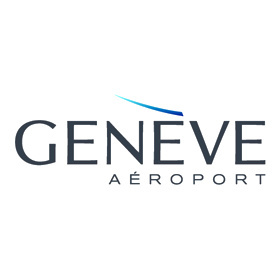 Geneva airport receives flights from major airlines throughout the world. Easyjet, Jet2 and Aerlingus provide the major routes here from the UK. Transfer times can be as little as 60 minutes to Morzine, while resorts in the Trois Vallees plus Tignes and Val d’Isere take a little longer at between 2 and 3 hours. The airport has all the conveniences you might need including a supermarket, restaurants and cafes, duty-free shopping and fast food outlets.